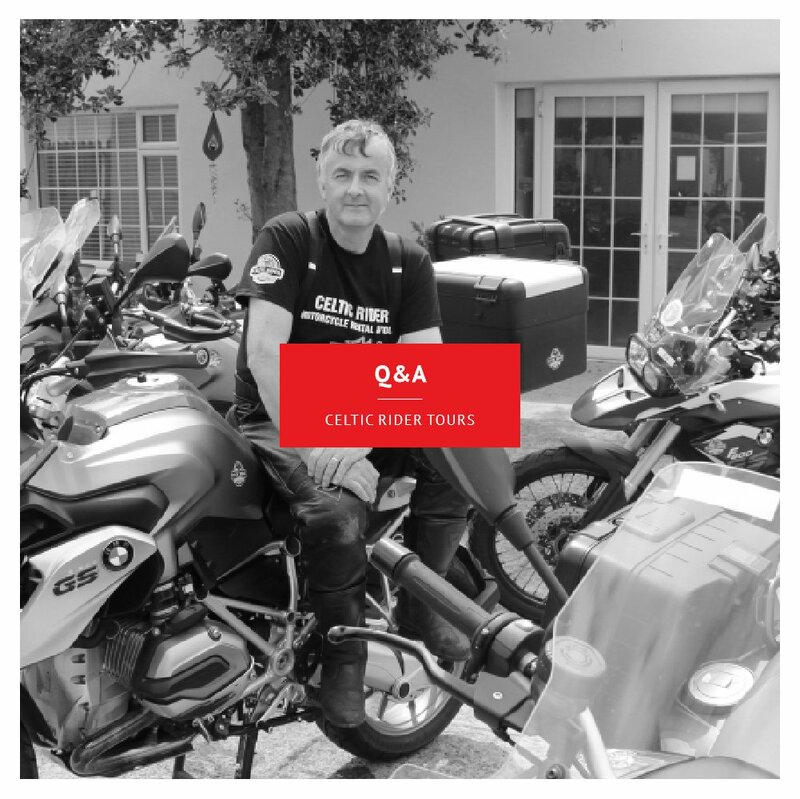 Here are a couple of case studies of businesses that we have FIX & PROTECT their sites..
Celtic Rider is a 100% Irish, family-owned tour company, with a deep and profound knowledge of Ireland’s history and geography and complex road networks. They use this knowledge and experience to provide a range of self-drive car and motorcycle tours to customers who visit Ireland, from all corners of the world. 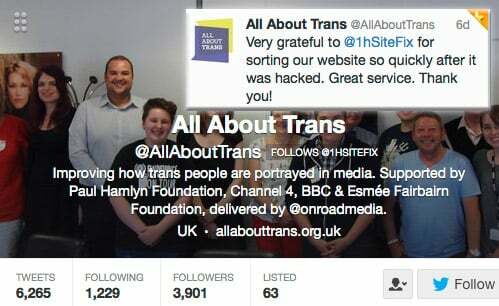 WHEN WERE YOU FIRST AWARE THAT YOU HAD BEEN HACKED? We were actually notified by a potential customer (not a great user experience!). When they entered our domain name into Google, the search results were showing thousands of links to spam advertisements in place of our website. We are a small business and our ethos is built around the relationships we have with our customers. Our website showcases our brand to the world and we rely on it to establish brand awareness and, importantly, trust with potential new customers. A site hack devastates this initial touchpoint with customers, damaging that relationship permanently. HOW DID YOU FEEL? DID YOU KNOW HOW TO RESOLVE IT? I knew we had to identify the cause of the attack – and quickly. Using Google Console, I was able to ascertain when the attack happened, which meant I could search for potential files on the site that had changed on or around that date. I was able to extract the corruption from the database and cleanse it. Then, I was able to rebuild and redirect the sitemap that had also been attacked. I was also able to identify and eradicate the many other issues resulting from the attack – and there were many. 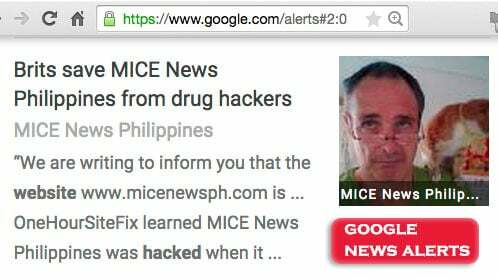 At first, I thought I had been able to outsmart the hackers on my own – however I was wrong and they soon returned. I realised that my individual experience was not a match for this problem, so I had to call on the services of experts in this field. HOW DID YOU FIND US? 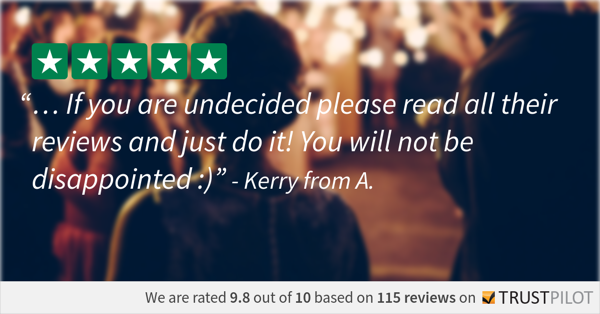 DID YOU HAVE ANY CONCERNS ABOUT USING OUR SERVICE? I carried out extensive research on who could resolve this problem for me, which consumed quite a lot of my time. 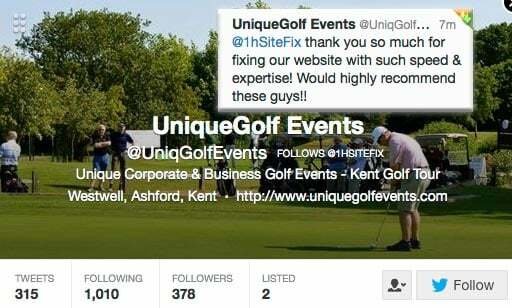 However, based on the testimonials of other customers, the range of services and the cost, I chose OneHourSiteFix. They were extremely patient, courteous and diligent in helping resolving our problem. DO YOU HAVE ADVICE FOR OTHER BUSINESSES WHO FIND THEY HAVE BEEN HACKED? 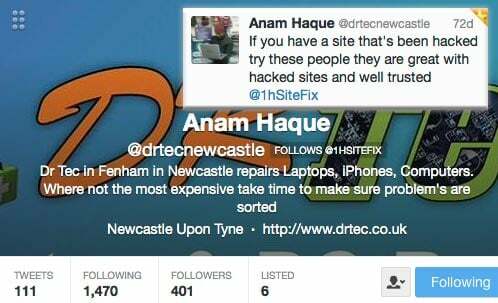 My advice would be don’t waste time trying to resolve a hack yourself. Their value for money is enough reason to have OneHourSiteFix tackle the problem for you. I also use their firewall service which adds further security to my site, as anyone attacking my site needs to breach their firewall first! And finally, just do it! I definitely should have done it sooner. 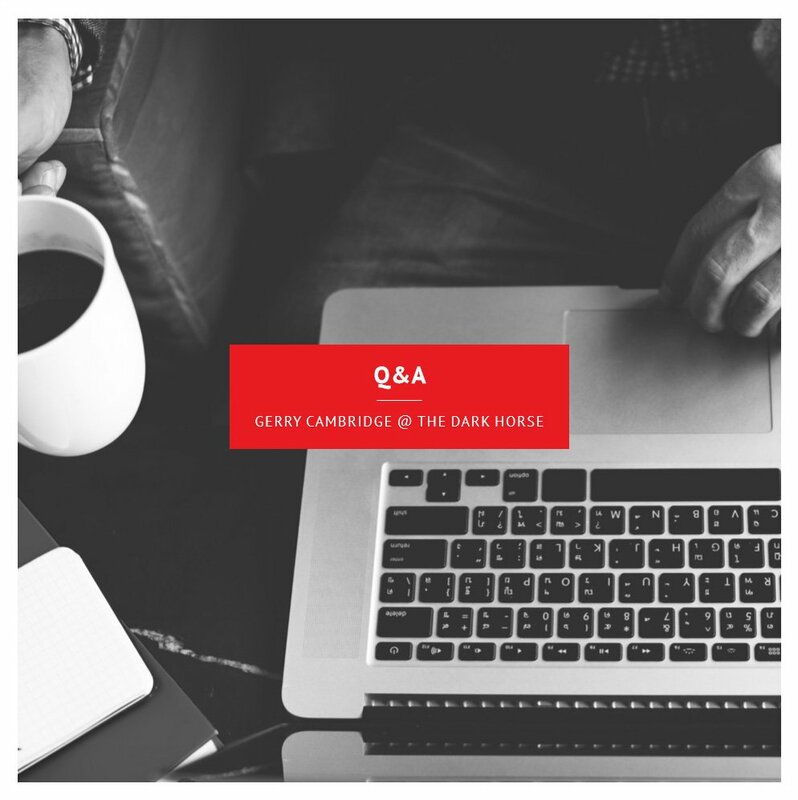 Gerry edits and publishes transatlantic literary journal; The Dark Horse, which features poetry, criticism and interviews. It has sales and distributions throughout the UK and in the USA. Subscriptions and sales are made directly via the website; thus a close call with an online hack almost proved to be very damaging to the business. Well, as it turned out I wasn’t even the first to know! A friend emailed me to say we’d been hacked as he’d noticed it had been flagged up by Google directly under our website’s title on the SERP (search engine results page). Luckily, the impact was very little—but that’s only because I knew we had to act fast and I managed to find OneHourSiteFix very quickly! Otherwise, the potential impact to our business could have been disastrous. I felt, frankly, somewhat violated—as if someone had burgled me and I was still in the house! I had no idea how to resolve it and I was anticipating a long drawn out amount of hassle trying to sort out the issues it had raised. I came across OneHourSiteFix, after turning to Google in a desperate panic. My only (very slight) concern initially was giving away my upload and login details of my web host to a company I’d never used before—but I figured that things could hardly get any worse than they were when I contacted them. Any slight initial misgivings were immediately dispelled when I saw how quickly they resolved the hacking issue on my website. I have complete faith in OneHourSiteFix.com. 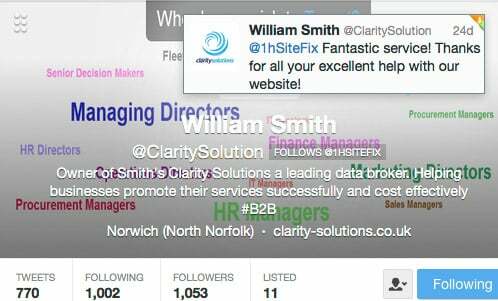 DO YOU HAVE ADVICE FOR OTHER BUSINESSES WHO FIND THEY HAVE BEEN HACKED? OneHourSiteFix.com is a superb outfit. I recommend them completely for a rapid and, importantly, customer-involving solution to a website hack or any issue involving hacks on a site. When my magazine’s website was hacked, I felt I was in expert hands. They made what could have been a major issue, lasting weeks (and I can quite believe such a hack could bring down a business) into a minor blip, which they fixed so quickly my business was barely affected at all. I recommend them wholeheartedly.